I’m Anton, Anton Servetnik. And I am here to share my world with you. There are many ways to do that, but I choose pictorial art. 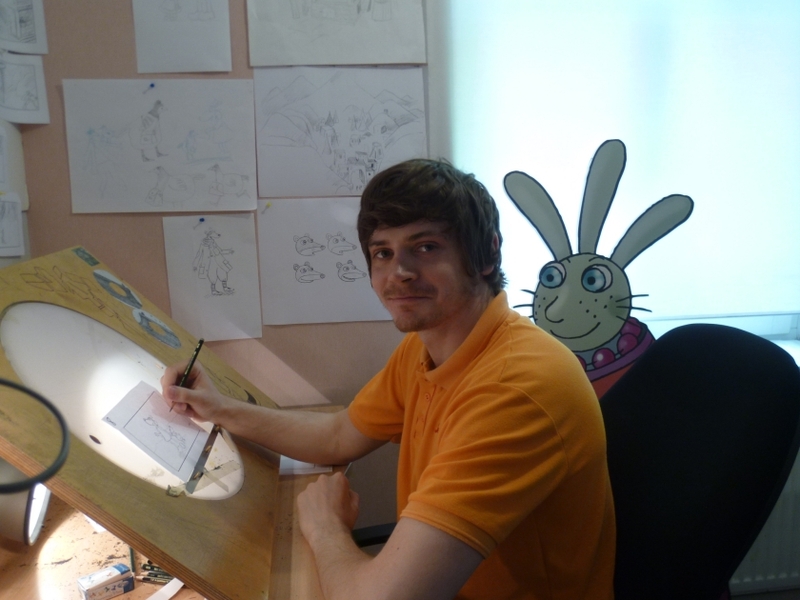 Cartoons and animation in particular are my main subjects. Fun! So here I am working on a storyboard project. It is for a Lotte film. Lotte…? Why yes! That Lotte! Ok, chances are pretty low of you knowing this character if you are outside it’s country of origin. So here is where she’s from. That bright spot in the middle is Estonia. Not only it is Lotte’s birthplace, it is also mine! I may have Estonian citizenship, but which nation or culture I identify with is a difficult matter. Having lived in different countries and studied various languages for many years throughout my life I consider myself sort of a global citizen. But enough about me! This place is about my work. So if you’re into drawing, cartoons, comics or games, I hope you find something here that catches your eye. I also often go into the animation studies so join me on my journey to explore this massive field! Gracias! Gue me haga saber si necesita alguna ayuda con el arte y la animación ! Hey Anton! Have you ever been to Poland, other Slavic countries (e.g. Czech Republic, Slovakia, Hungary, Croatia, countries neighboring with Estonia) or Germany? Twilight Sparkle deserves a deathbed! Also, what do you think of these pictures? Go to https://derpibooru.org/1917574 to see them.